The Gallien-Krueger MB Fusion 800 Bass Guitar Amplifier Head is the latest and next logical step in the MB series of bass amps. 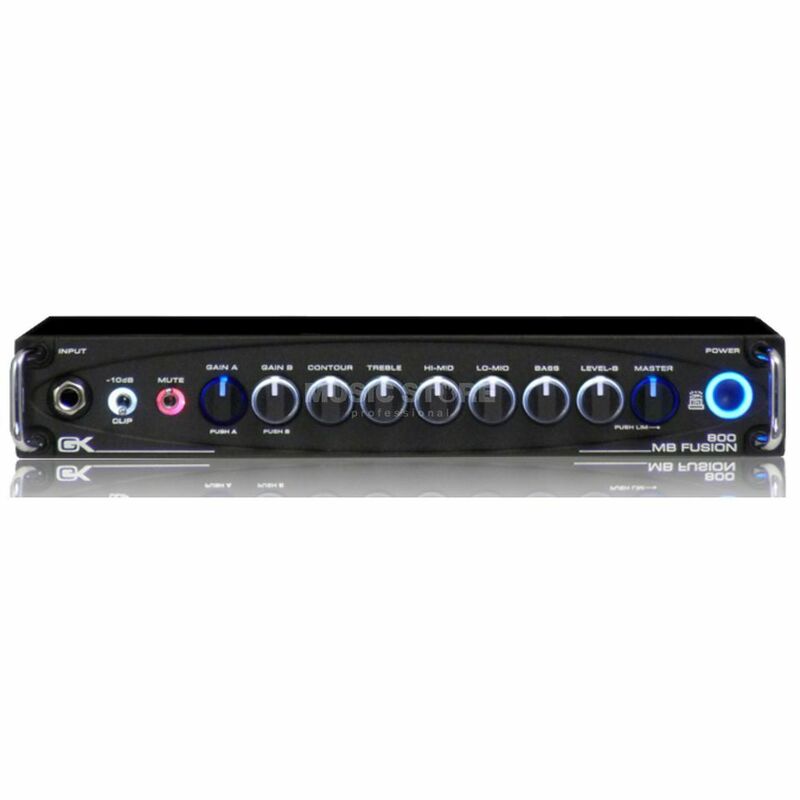 It combines the pre-amp of the MB Fusion with the power and control of the MB800. With a massive 800 watts of power, the MB800 Fusion can handle even the largest venues with no problem. All of the controls of the MB800 are lit to indicate the current operating status including input clip, tuning mute, Gain A, Gain B/Level-B, power amp clipping, limiter enable and EQ/Contour settings.